The Red Purse- Is it a Hit or Miss? 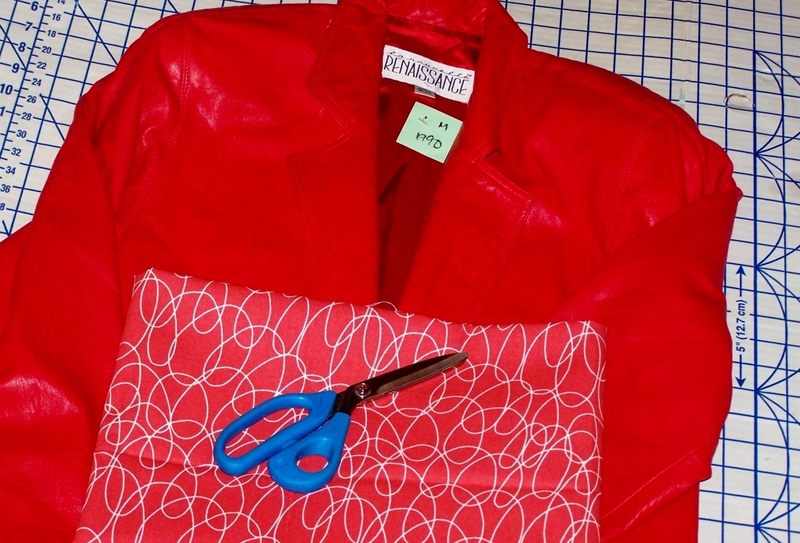 I’ve upcycled a leather jacket I found for $20 to make this red purse… Words can not express the challenges I faced while working with this leather, but I didn’t give up! I really love the braided handle reinforced with rivets, and the front pocket left in tact from the leather jacket. 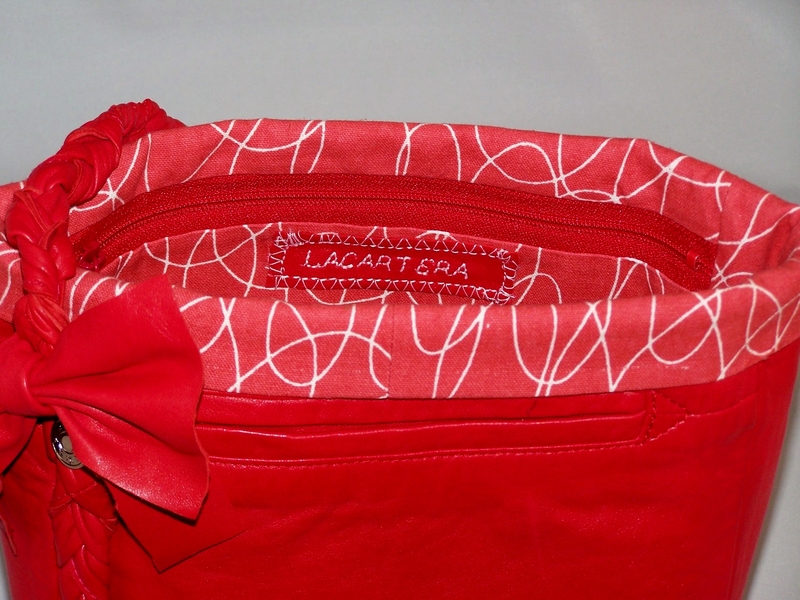 The large zippered inside pocket covers the back panel. Next Post I Really Think It’s Time for an Intervention! I say it’s on the right track, but probably not on the level of something I would buy yet. If you post a tutorial please let me know. No problem! The purse is still in the planning stage. Love it! How did you do the handle? That really caught my eye. I made 3 mini straps,braided them together and sewed them at each end. I’m in a major slump right now, creatively speaking…working on crawling out of my hole, waiting for the sunshine. 😆 But I’ll be getting to it before the next snow flies, I hope! I appreciate your comment! Thank you. I think it is rather cute, I love the braiding! Thank you! I love trying something different. Love the reuse of something so bright and in good condition. Like the design but the handle will not make the bag stable enough to carry, it will always want to turn around because it isn’t balanced with what you would put into it. The braiding is great but perhaps two handles would have made it more useable. 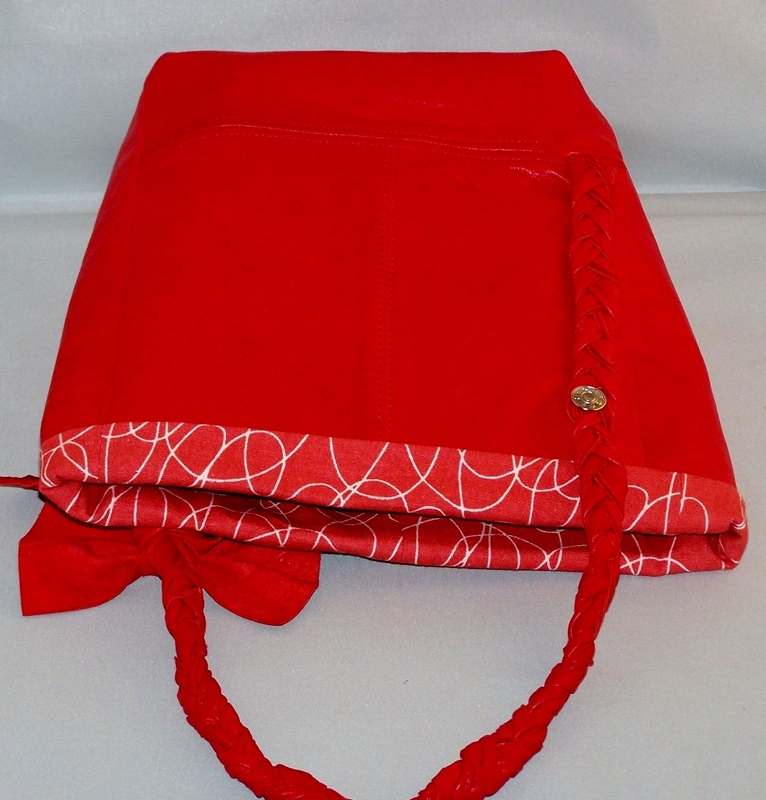 Great idea though and love the red and the design of the bag itself. It is always the details, isn’t it? I think it’s a hit. Very creative! Thank you! It’s still in the development stage, but I think I have a good base! You’re welcome! I am inspired by this bag. I never thought about upcycling old leather pieces. I was making mine from leather on a bolt. You are very welcome! I can’t wait to see your creations! You should open a store or maybe find one that is willing to help you sell your creations. I love it! Great upcycling! Great bag, love up cycled products! And who doesn’t love leather? It’s a hit! Thank you Brenda! This is one my favorites so far using leather! I really love the color and the braiding but my favorite is the material with the writing! FABULOUS! HIT HIT HIT!!! Thank you so much! The lining fabric does have a fun design I hope to incorporate it into something else. I LOVE it! 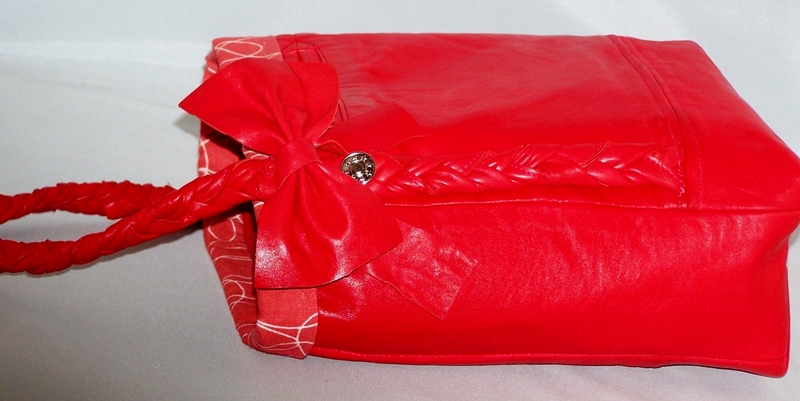 First of all, a red purse is a must and I love how you upcycled it! Great job! Thank you Rebecca! What a great purchase. I’m sure you will create something marvelous! I can’t wait to see your creation! That’s a super cute purse!!! What a lot of work.